The fat-soluble vitamin, vitamin A (see ‘Vitamin A’ and ‘What Are Fat Soluble Vitamins?’), is vital for healthy cell growth and development. Healthy people who eat a normal diet are unlikely to have a lack of vitamin A, also known as retinol. Vitamin A deficiencies are seen in malnourished people in the developing world. According to the World Health Organisation, between 100 million and 140 million children under the age of five may have low levels of vitamin A. In the developed world, there are a number of groups of people who are at risk of deficiencies in vitamin A. These include alcoholics, people with long-term illness, including chronic diarrhoea, and people with restricted diets or eating disorders. People who cannot absorb fat properly are also at risk. Illnesses such as coeliac disease, cystic fibrosis, pancreatic disorders, inflammatory bowel disease or Crohn’s disease can cause fat malabsorption, as can the use of drugs that block fat absorption, for example drugs used in the treatment of obesity. Lack of iron or zinc can affect the way the body moves, absorbs or uses vitamin A, so can add to a vitamin A deficiency. Also known as dark dysadaptation, nyctanopia or nyctalopia, nightblindness is a lack of ability to see clearly in dim light, or a difficultly in adapting to the change from low light to bright light. People with nightblindness can also have problems with contrast vision. Nightblindness can be an early sign of vitamin A deficiency. The body uses vitamin A to make retinal, part of a molecule called rhodopsin. Rhodopsin is found in the rods in the eye, the cells in the retina that allow people to see in low light (cones, another type of cells in the retina, are responsible for colour and detailed vision). Rhodopsin is very sensitive to low levels of light. Doctors treat nightblindness caused by vitamin A deficiency with foods rich in vitamin A and vitamin A supplements. Xerophthalmia is a more serious eye disease caused by a lack of vitamin A, and can occur if nightblindness is not treated. In xerophthalmia, the tear ducts do not produce enough tears, which lubricate the eye. This leads to the cornea (the clear part of the eye covering the pupil and iris) and conjunctiva (the clear covering to the white of the eye) becoming inflamed. The cornea and conjunctiva dry out (known as conjunctival xerosis or keratoconjunctivitis sicca) and become thickened. The cornea can become cloudy and foamy spots (Bitot's spots) and ulcers can form on its surface (keratomalacia), leading to scarring and damage. Illnesses such as measles, pneumonia or diarrhoea can trigger xerophthalmia in people who have a vitamin A deficiency. Doctors treat xerophthalmia with vitamin A supplements, antibiotics and artificial tears and/or special contact lenses that moisturise and lubricate the surface of the eye. A shortage of vitamin A is the most common cause of preventable blindness in the developing world, with around 250,000 to 500,000 malnourished children losing their sight each year. 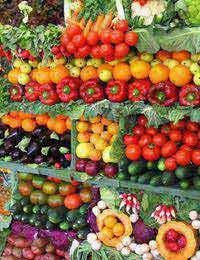 why vitamin A deficiency does not cause colour blindness? what is the mechanism of color vision? plz list problem arising owing to the defiency of vitamin a1 and a2 ?